We hope you are enjoying the long summer days. This past June marks IFIP’s first full year of implementing our new strategic framework and my first year of leading this new direction. IFIP’s new framework underpins a commitment to creating collaborative spaces for our members and funders to form partnerships and expand the sphere of influence. As we celebrate this achievement, we encourage our members to take part in our novel learning community through our new programming. Our new yearly programming aims to nurture collaborations that will turn into action. 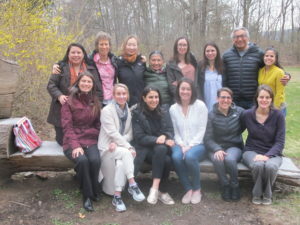 It’s about a resilient IFIP global learning community that emphasizes funding approaches that cuts across issues and movements and promotes the self-determined development of Indigenous Peoples. This newsletter will highlight three of these programs. 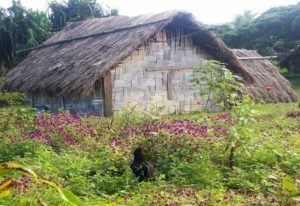 It will share the progress of IFIP’s two new funders working groups that focus on Indigenous Territories and on Indigenous Women. Both working groups will engage in peer learning, networking, promote awareness of key issues and plan a path to improve coordination among funders. We are also thrilled to share the high-level learnings from our very first IFIP Learning Institute for funders. 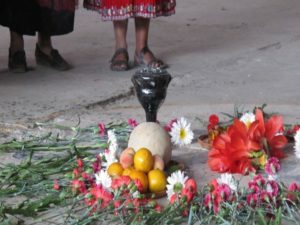 A first of its kind, the IFIP Institute’s all Indigenous Faculty supports a global community of funders to strengthen and develop strategies that values Indigenous Peoples, respect their rights, and adopts the Four R’s of Indigenous Philanthropy. The first year of this new programming will converge at IFIP’s 2018 Global Indigenous Funders Conference, October 7th-10th in Santa Fe, New Mexico. This will include conference spaces and sessions that will challenge us to consider which funding practices better align with Indigenous values and the Four R’s of Indigenous Philanthropy. It will be an opportunity to celebrate together IFIP’s new direction, new programs, and future plans. You can learn more about our conference and register here. See you in Santa Fe! Why IFIP? from IFIP on Vimeo.